Suppose you wanted to automatically email a URL based on a field in CRM. For example, if an account name is XYZaccount, then suppose you want to email a url that is http://www.XYZaccount.mydomain.com. Go to the form editor for the entity that this will work on. In this example we’ll use the account entity. First, we’ll create the new field to store the URL that we will create. In the form editor for the account entity, click on “new field”. Give it a meaningful name, and set the format to url. Save and close, then publish. Press F5 to refresh your browser, after which you should see your new field in the column on the right. Drag it out to somewhere on the form that you want it to display (you can remove later if you want, after creating the workflow). Now that the new field is on the account form, Save, and then publish again. In the Form Libraries section, click add. Click new to create a new web resource. Give your new web resource a meaningful name, and set type to “Script (Jscript)”. In this example we will name the web resource “AccountJS”. We can always add other functions to this web resource in the future if desired. Press save, then publish once more. Close out of the new web resource window. Now you should see your newly created web resource in the “Look up Record” window. Choose your new web resource here. Once you’ve added the new web resource to the form libraries, you can now add any function that’s in that web resource to the form (currently we only have the one). In the event handlers section at the bottom, notice that “OnLoad” is selected. We’ll change this to “OnSave”, and then press add to add a new event. Here make sure our library “new_AccountJS” is selected in the library drop down menu. Fill in the exact name of the function into the function field. In this case it was “createUrl”. Press ok after you have done that. Now you should see the new function “createUrl” set to run whenever the form is saved. Be sure to save and publish, and then press F5 to refresh the browser once again. You can use this Account URL field in workflows or anywhere else where you need a url based on some other field on the form. If you found this helpful please check out our main Dynamics CRM blog page for other useful tips and tricks! 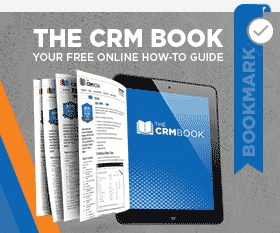 Or try our CRM Book for all the latest in Dynamics CRM! by Joe D365	October 23, 2014 2 people are discussing this now.